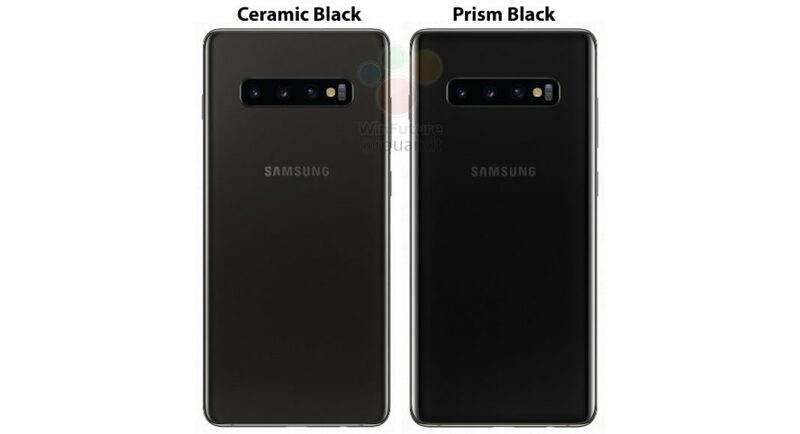 The top end model of the Samsung Galaxy S10 series, the Samsung Galaxy S10+ is expected to launch with a ceramic colour, apart from its ususal colours. FTP Shop, a Vietnamese retailer, claimed that the Samsung Galaxy S10+ is going to come at a cost of VND 30,990,000 that is roughly Rs 94,643. The same retailer has listed the smartphone with 8GB RAM coupled with 512GB internal storage. However, there are rumours about this smartphone to carry a 12GB RAM coupled with 1TB internal storage, too. Though the 12GB RAM has not been confirmed right now, rumours mills ar churning it could be a possibility. The 1TB storage has been confirmed, as Samsung announced a 1TB UFS chip for its upcoming phones last month. Nevertheless, it is not known whether the Samsung Galaxy S10 models are the only ones to get this storage. It is pretty obvious that the cost of the variant with as much as 1TB storage is going to be very high. Also, FTP Shop listed the non-ceramic Galaxy S10 with 8GB RAM and 128GB internal storage. 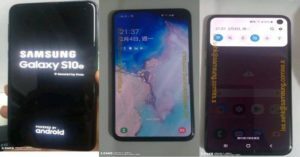 Recently, the Samsung Galaxy S10E was similarly leaked. From what we know, one of the colour options which the smartphone is going to have is canary yellow. News reports released this render of the smartphone, which shows it comes with a metallic frame and an Infinity-O display. There is a glossy back panel on the the Samsung Galaxy S10E, which is coloured in canary yellow. Also, at the back there is a dual rear camera setup that are stacked horizontally and at the right side of it, there is a Samsung logo. In the renders, we see that there is a fingerprint scanner at the right edge.The volume rocker and a dedicated Bixby button can be seen on the left edge of the smartphone. The Samsung Galaxy S10E is rumoured to measure 142.5×70.5×8.1mm and sport a 5.8-inch display. Amongst all the smartphones, which are part of the Samsung Galaxy S10 series, this one is supposed to be the smallest. The Samsung Galaxy S10 on the other hand is expected to come with a 6.1-inch display with dimensions of 149.9×71.6×8.1mm. It goes without saying the Samsung Galaxy S10+ is the most premium one of the pack. The handset is said to sport a display measuring 6.4-inches.